tarGET GROUPS is conducting CRASH COURSE for GROUP 1 MAINS from 1st August, 2016 at Dilsukhnagar, Hyderabad for the benefit of the candidates appearing for the Group 1 Re-Mains Examination. 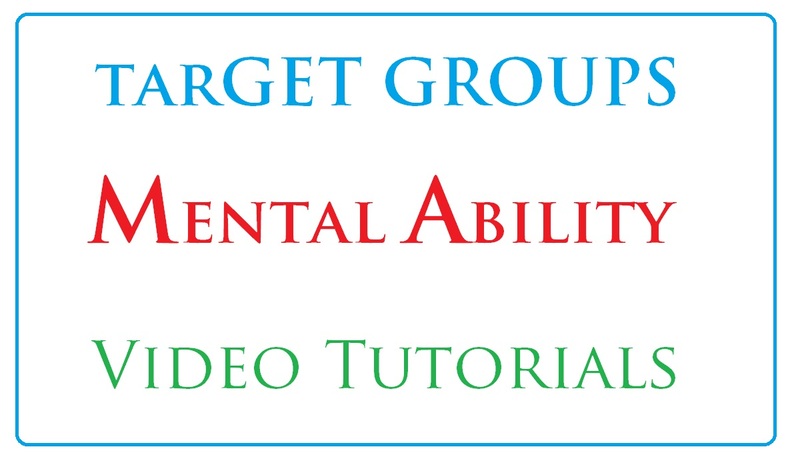 tarGET GROUPS will start Online Video Tutorials for Mental Ability and Reasoning from 15th August, 2015. Click here for details. Introductory Discount of 20% can be availed up to 15th August. The Telangana Public Service Commission chairman Ghanta Chakrapani said on 26th December, 2014 that the new notifications for Group 1 and Group 2 will be released after 6 months. 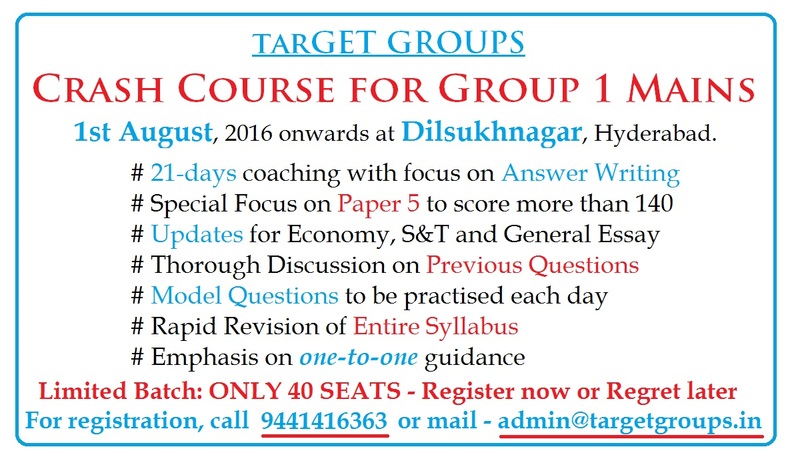 The New Syllabus may include - Telangana History, Telangana Goegraphy, Telangana Economy, Socioeconomic Problems in Telangana and Separate Telangana Movement.